Qatar is unlikely to raise its 10 percent stake in German automaker Porsche Automobil Holding SE, though it is in talks on potential cooperation in several areas, a senior Porsche family member said in Doha. The Gulf Arab state, through its sovereign wealth fund Qatar Investment Authority, bought a 10 percent stake in Porsche for $10 billion (7.29 billion euros) in September 2009. "They (Qatar) will stay with us until the merger comes through, but more than 10 percent is not in question," Wolfgang Porsche, chairman of Porsche's supervisory board, said on the sidelines of an event on Wednesday. "We are in a lot of talks, but no decisions made," he said. Earlier this month, a U.S. judge dismissed a hedge fund lawsuit seeking more than $2 billion in damages, removing a key obstacle to a merger with VW. The automaker said an update on whether the ruling will be appealed will be known by the end of January. 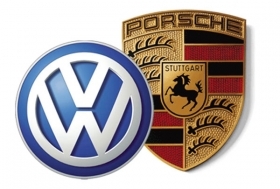 Also earlier this month, the first German lawsuit against Porsche claiming losses related to the sale of VW stock options in 2008, was filed. The plaintiff wants its 3.1 million euros ($4.0 million) loss compensated by Porsche and the German unit of Canadian lender Maple Bank, according to a court spokesman in the city of Stuttgart. Some investors claim that Porsche misled them by denying through much of 2008 that it intended to acquire VW and by using manipulative trades to hide its stock positions. The sports-car maker said on Oct. 26, 2008 that it controlled most of VW's common stock, causing the shares to surge as short sellers raced to cover their positions. Porsche took another step toward its planned merger with VW after the company's shareholders backed a 5 billion-euro stock sale in November.